A USAAF Pilot Ring in a large size "X" with light wear. A US Army Ring in sterling silver, size is a "V". The stone has some wear and scratches please see images. 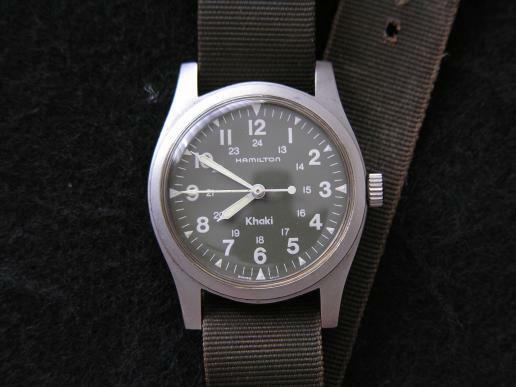 Here is a U.S. Military issue Hamilton watch with a date of September 1979. 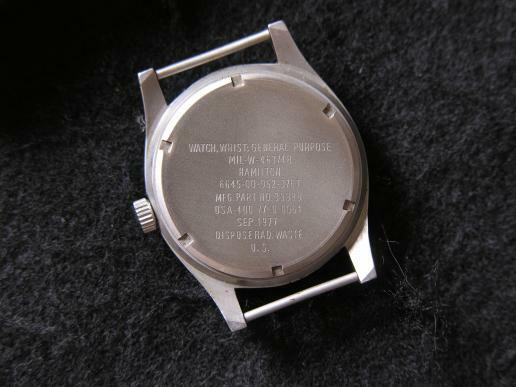 Case is well marked on the back, has service wear, note slight mark on the glass between the 10 -11, it is on a military style strap. 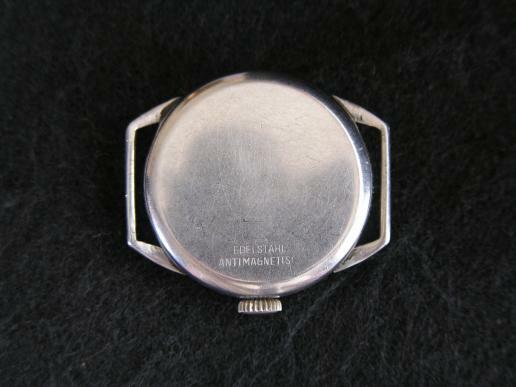 Measures 28mm across the face and 35mm across the edge of the case to the end of the crown. Here is a military ring to the U.S. Army Military Police. 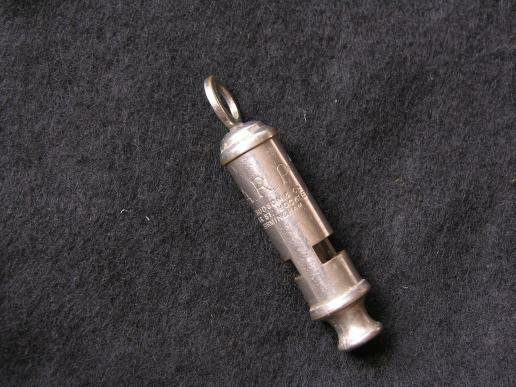 Sterling silver, has been worn, some wear. USAF item from the pilots survival vest in good condition. 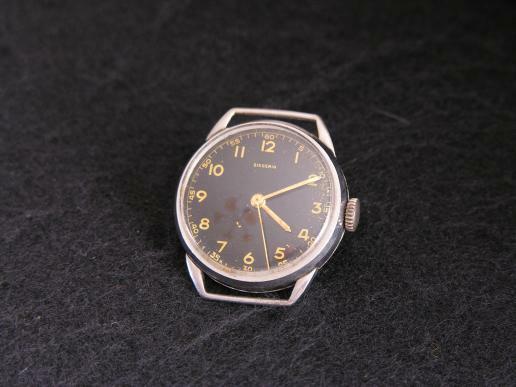 Measures 4 1/2" x 1 3/16"
A period private purchase military style watch on a used military strap. 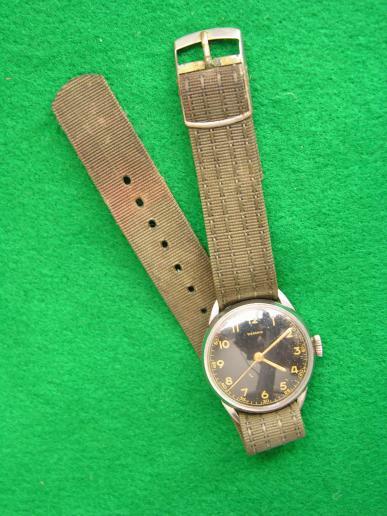 A very unusual 3rd Armored Vets watch just as the images show. 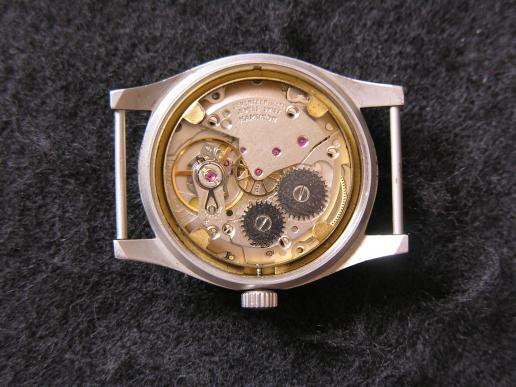 17 jewels, good condition with some wear to the case which measures 1 5/16" and the face is 1 1/16" comes with a used military style strap. Not maker marked. A well marked 17 Jewel Hamilton with contract dates for Sept '77 on a used military strap. Measures 1 1/4" and 1 1/8" across the face. A period Home Front A.R.P. 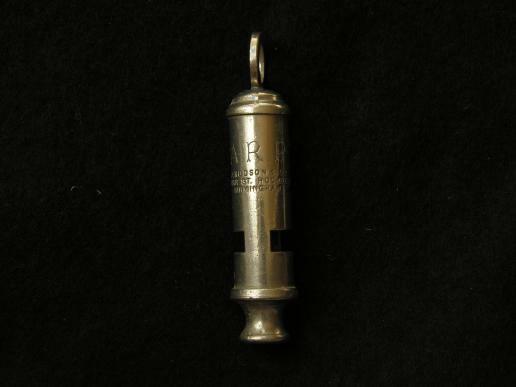 Whistle By Hudson of Birmingham in good and used condition, still works. A good scarce period Marine Corps ring in marked sterling silver and 1/20th gold filled (eagle and globe). Some light wear.